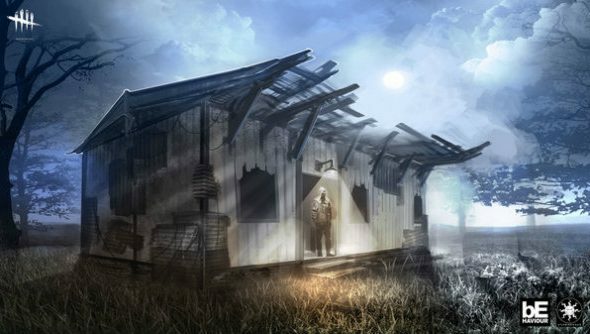 Dead by Daylight’s concept was revealed last month, with the developers outlining the premise – 4v1 asymmetric multiplayer where one first-person perspective-playing killer hunts down four third-person normies – but we didn’t actually see any in-game stuff. That ends now, because the developers have just released an in-game teaser trailer. If you enjoy panicked dashes away from an unseen threat or cautiously probing darkness with a flashlight, there’s a fair chance you’ll like our list of PC’s best scary games. Like the game’s announcement, the new trailer doesn’t show much, although it does give us an idea of what the game will look like, which is nice. We’re also shown an injured person crawling across the ground as the killer stalks nearby. Presumably the killer can injure players and use them as bait for the other survivors, which has the potential to breed some interesting dynamics. Players will certainly be hesitant to cooperate if they think they’re about to run into a trap, that’s for sure. Dead by Daylight is due out this year and you can follow it on Steam now.